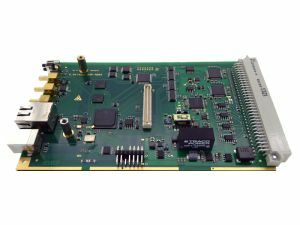 UniDAQ2 is a versatile data acquisition and processing system for industrial applications, scientific research and education. 16 simultanously sampled analog inputs with excellent performance and low latency make UniDAQ2 ideally suited for high-precision measurements of dynamic signals and control loops. Eight analog outputs control actuators, generate stimuli signals, references or monitor internal processing states. ≫ expansion port for mass storage, fieldbusses, display, GPIO, FPGA, etc. ⓒ 2017. hyomyung.com all rights reserved.